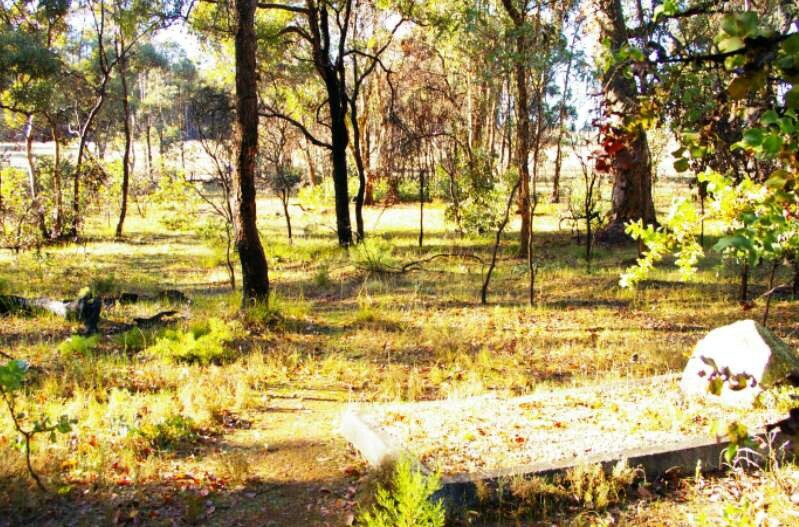 Located on the Bannister/Marrodong Road approxcimately 5kms south of Boddington, just to the west of the Boddington Cemetery, and marked by a roadside sign. 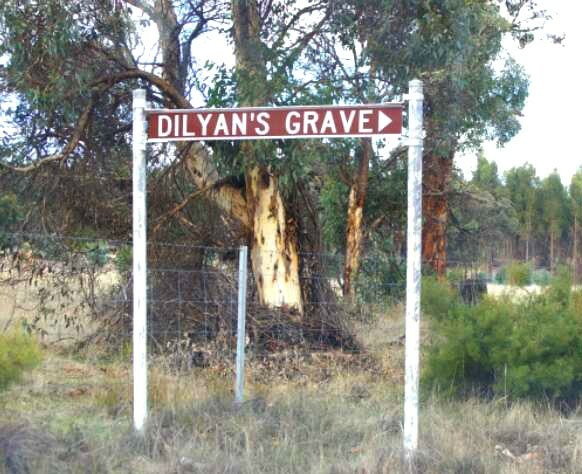 Dilyan lived with his 'mob' in the Wandering Williams area, although he spent the last year of his life in Boddington. Dilyan accompanied Sir John Forrest in the North West and worked as a shepherd in the Marradong/Boddington area for HS Ranford, Jack Dowsett and Charles Farmer. He was a highly recognised tracker and known for his bravery. When Sir John Forest reached the Kimberly he named a spring after the 'intelligent' Dilyan. In addition, Dilyan received a gun with a plate on it to commemorate his bravery. B.S Ranford and Jack Dowsett later employed Dilyan as a shepherd for his notable tracking skills. Charlie Farmer was later informed of his performance and likewise, employed him. In 1886, whilst working for Farmer, he was sent to town to obtain some goods. On return, he was stabbed to death by a member of a feuding tribe of local natives.